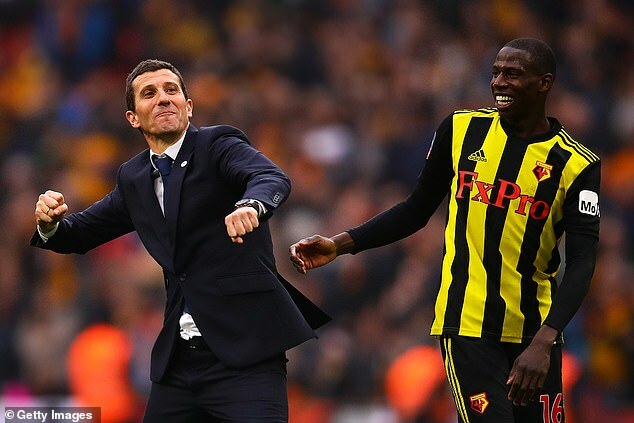 When Unai Emery was offered the Arsenal job the first man he phoned was Javi Gracia. On Monday night, Gracia can have a big say on how his friend’s first year in the job pans out. 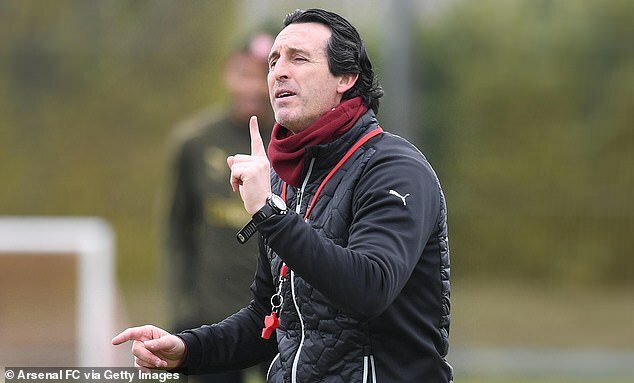 No love lost on the pitch, but if Arsenal do achieve their goals this campaign, their fans will have Gracia to thank for Emery’s arrival. ‘When the possibility opened up to sign here, the first coach, the first person in the football world I called was him,’ Emery said. That relationship has continued since Emery joined Gracia in England: ‘We had dinner, their coaches and with our coaches, one day in St Albans in September. ‘We spoke about football here, English football and their experience because they were here six months before us. ‘It was a good conversation about football because Javi Gracia is also a football man. 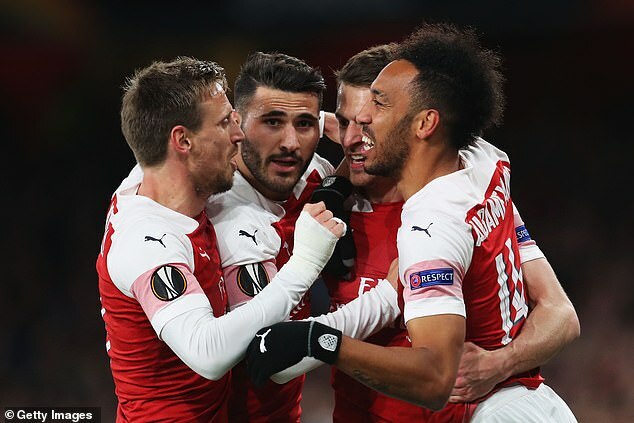 There is only a gap of two days between the visit to Hertfordshire and their trip to face Napoli in their Europa League second leg and Emery is not delighted with the scheduling: ‘I would prefer to play Sunday. ‘But also, if we played Sunday it is shorter from this Thursday but it is better because we played at home Thursday and away to Watford on Monday. The Spaniard admits he will have to rotate his side due to the schedule but will not prioritise either competition in his bid to qualify for the Champions League: ‘It is not one over the other. ‘I think they are two ways we can compete and be ready for both. We can achieve our target through the Europa League or Premier League.